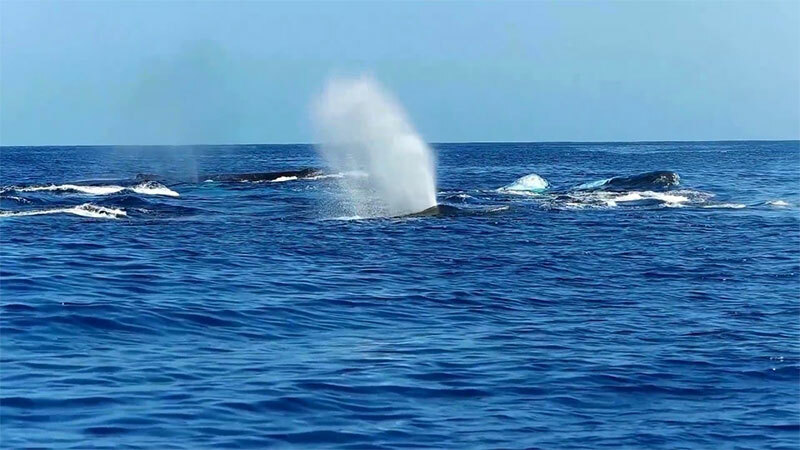 Our guaranteed whale watch is 1 1/2 hours and a great way to get to the whales on Maui from a fast and convenient Wailea / Kihei departure. Whale sighting is guaranteed or the next ride is on us! Ample free parking is available at the Kihei Boat Ramp less than ten minutes from all Kihei and Wailea Resorts. 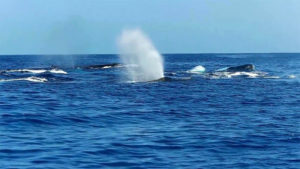 Morning departures offer calm conditions on Maui's south shore where visiting Humpback whales are prevalent and often seen nursing their young during these times. Pods are spotted quickly allowing ample time for viewing and listening through a sophisticated hydrophone sound system. Close encounters of 100 yards or less sometimes require that we "stretch" a tour slightly to ensure the safety of the humpback whales and to operate within federal regulations, therefore a little extra time has been allowed between tour departures.